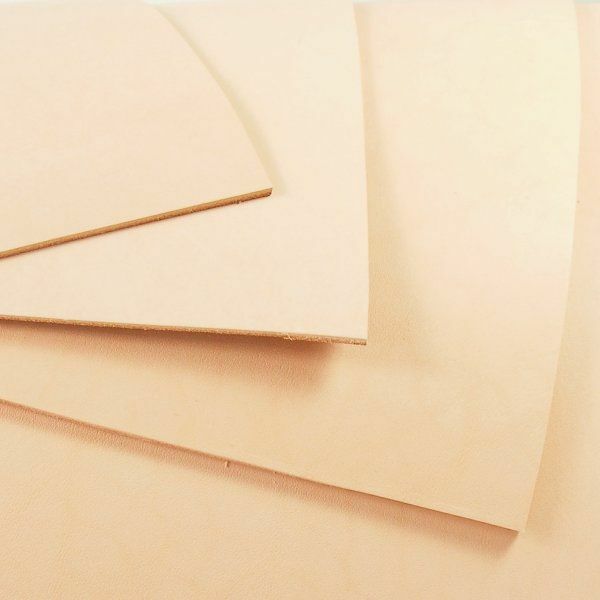 At 2 - 2.4mm thick, this veg tan tooling leather is suitable for everything from chunky bracelets to protective cases and knife sheaths. It's ideal for embossing and thick enough for carving with a swivel knife. As with most veg tan tooling leathers, this would take to wet moulding very well, and once dried, it can be easily dyed using any of the dyes available here at Artisan Leather. *As veg tan tooling leather is so pale in colour and has no surface finish, it's important to have clean hands and tools when working with it, so it doesn't pick up unwanted marks. Once you have finished your project, the surface can then be finished with Fiebings Resoline or Tan Kote, to give it a protective outer coating.